Great news, at long last we have a new jailbreak for those on iOS 10. 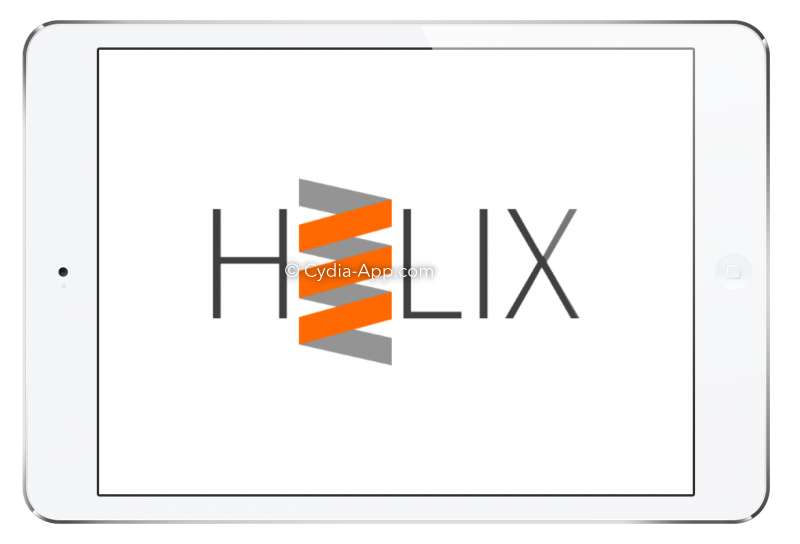 Well-known developer Tihmstar ( twitter ) has built his jailbreak, Helix (H3lix), using the V0rtex exploit and has now released it as a semi-untethered jailbreak for all eligible users. This is a massive boost to the jailbreak community, the first jailbreak in a long time and, even though it is semi-untethered, it will be welcomed with open arms. This is bound to open the floodgates, and we expect to see more jailbreak utilities released in the near future. Before we move onto installing Helix, not everyone is aware of what a semi-untethered jailbreak is. Basically, the jailbreak will work on your device until you reboot. At this point, the jailbreak is disabled, and none of your tweaks will work either; it’s a simple matter to get it all back, and we’ll be telling you how after we tell you how to install it. Before you jump to installing Helix jailbreak, do make sure that you back your data up. You can do this through iTunes, iCloud or both and is a vital step. If anything goes wrong during the jailbreak and you have NOT backed your data up, you will potentially lose everything. You also need to ensure that you have a good level of battery on your iPhone or iPad before you start, enough to see the jailbreak process through. Ready to install H3lix? Tap the large Jailbreak button and wait; once the jailbreak process has finished, your iPhone or iPad will respring and is successfully jailbroken. As mentioned earlier, when you reboot your device, or it restarts for any reason, the jailbreak will be disabled. To reactivate it, go to Step 12 and repeat from there. You will have one of two types of Apple ID, free or developer. If you use a free ID, the Helix certificate expires 7 days after and you will need to go to step 3 and repeat from there. For those using a developer account, the certificate will expire after 12 months. We have waited such a long time for this jailbreak so go install it on your iOS 10 device, tell us how you get on and follow us on Facebook to get more jailbreak news and updates. Have anybody tried this on ipad2? Yes it works on All devices running the firmware . Helix is very stable and highly tested . This was beautiful. My client bought AN IPAD FROM aMAZON WAS USELESS TO SAY THE LEAST. nOW IT S ROCKING AND ROLLING THANKS TO YOU. wow , glad to hear that . cheers !! hi , sorry cant say why it happened. Cydia impactor is right from the source and the latest version. Dude, you need an authorised-by-Apple device specific password. You can obtain that by the Security tab when logging into your icloud account on desktop. Copy this password somewhere so it can be used to rejailbreak since it is semi-untethered. so explain in detail how the free app ID expires every 7 days, you mean i have to redo this procedure every week? sorry that is the first time we are hearing this error. I am in Vietnam, recently I want to unlock my 32 device, the results failed from the first step. I tried the installation when not using a desktop computer. apparently the apple changed something that made this work fail. this could be true. all apps were revoked. You may want to try the jailbreak after a while.